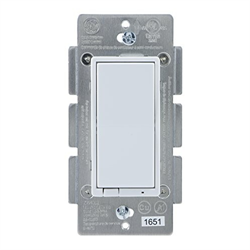 The 14287 from GE Jasco is an in-wall ZWave Plus Fan Switch which gives local and remote control of ceiling fans. It features 3 speeds – high, medium and low as well as off. An LED indicator on the switch gives a visual on the fan speed as well as makes it visible in the dark. 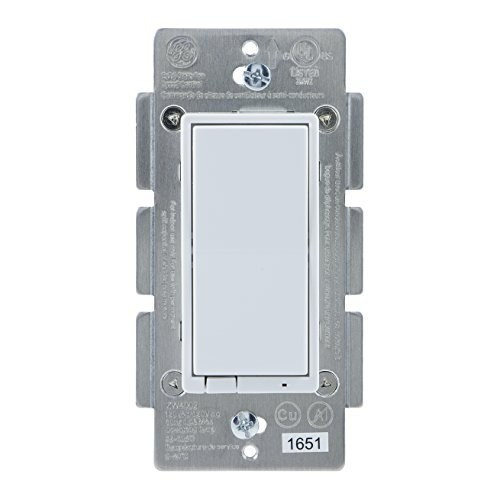 The switch requires a Z-Wave network controller to run. Line (Hot), Load, Neutral and Ground wires are needed for it to run. Wall plate not included.